When deciding on waste management options, choose Discount Dumpster for the best quotes in and around Atlanta. We can save you both time and money on no matter what size project you are working on. With one phone call, we set everything up and can answer any questions concerning your order. There is no need to shop around because we have the best pricing in the area. The best deal around is with Discount Dumpster! Select Discount Dumpster today and save up to $100 on your next roll off rental. Our pricing is among the lowest in the business. 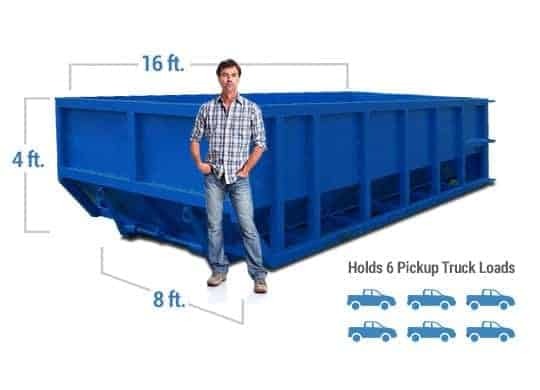 We have a large selection of bins to choose from, so no project is too big or small. Our company can deliver the containers to any business or residence. Call by noon today to have your container delivered as early as tomorrow. Our dedicated customer service team is available Monday through Friday to answer any questions regarding your order. The 10-yard bin is excellent for eradicating junk collecting in the attic. The container is small in size so it can fit just about anywhere. You can dispose of small amounts of household and construction rubbish. Great for medium scale refitting and remodeling. The bin can contain light construction materials such as sheetrock and wallpaper. The low height of the container makes disposal easy for anyone. Our 20 yard container is a great size for roofing and reconditioning projects. As with our 10 and 15 yard, the low height of the bin allows for easy clearance for anyone. Also ideal for small scale demolitions. The 30 yard is common for customers with large scale home renovations. The bin can easily hold litter formed from construction and remodeling projects. Smaller than the 40 yard, the 30 yard is a convenient size for large scale clean outs. Our 40 yard container is optimal for apartment renovations and building demolitions. It is perfect for contractors with large-scale blueprints. 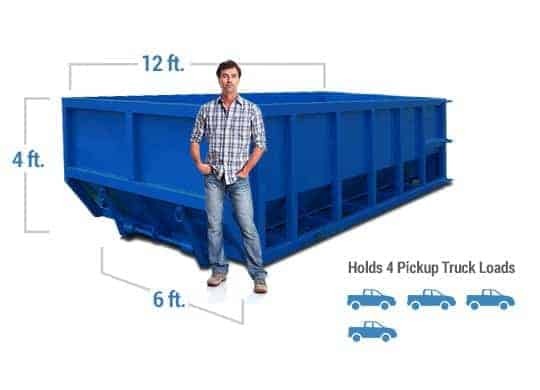 The size of the bin allows you to discard several tons of scrap with ease. Our company takes the time to listen to your feedback. We often hear that our customers don’t think renting roll off containers should be a burdensome process. We totally agree! This is why our company takes the time to simplify the dumpster rental process. If you can call by noon today, we can deliver your container as early as tomorrow. Likewise, we know you will be impressed with our all-inclusive pricing. There are never any hidden fees for fuel or delivery, so the price you see is the price you pay. From the minute of delivery until it is time for pickup, Discount Dumpster will walk with you through every step of the process. At Discount Dumpster, we get it. Renting a container in the area can be confusing. You might think there is a lot going into the process of renting the bin, and you might be a little overwhelmed. Leave your worries and troubles to Discount Dumpster. With one call we are able to answer all your questions. It really doesn’t get any easier than that. We understand, and we will make sure you are contented with our service. We want you to come back! 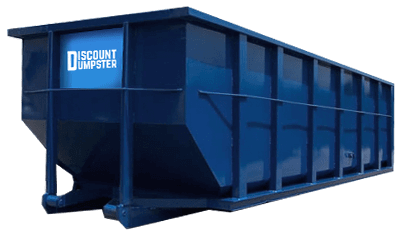 Private homeowners and public businesses alike, Discount Dumpster has you all covered. With everything from residential remodels, construction sites, or major extermination, our company has experience with it all. We are prepared to show you that we want your business, and we never want you to feel like we are leaving you high and dry. Why pay more? Choose Discount Dumpster today!